Yesterday was the BBC Social Media Summit, an event named with tongue firmly in cheek. Other folks than me have already written some excellent round-ups of the sessions – I’d recommend @adders’ series of live blogs and @currybet’s thoughts in particular, as well as the BBC College of Journalism‘s ongoing series of posts about the event. What was said at the event was interesting, and though in some cases it felt a little like going over old ground for me personally, it was good to see the big steps being made by big organisations like the BBC and New York Times. What I found fascinating was the way some old and new conflicts weren’t exactly debated in the panel sessions but were played out over the course of the two-day event. Mainstream was a word used a great deal yesterday and the day before. Organiser Claire Wardle justified (see comments) the decision to make the first day invitation-only by explaining that only members of the mainstream media were invited, and the sessions yesterday almost all included the word “mainstream” somewhere in the title. That’s fine, of course, though perhaps a more honest hashtag would be #bbcmsmsms. But it’s also telling: those who were invited to participate, and thus set the agenda and drive change, were not social media people from the Sun, or from Archant’s local divisions, or from the Financial Times. Of course it’s easier for organisations working with likeminded people to reach a consensus, but in doing so we miss the chance to learn from people outside the echo chamber. And in the process we reinforce some very dull divisions between journalists and organisations, as @adders pointed out beforehand – we go back to Chomsky’s definition of the elite media, which is in the process of being exploded by the internet. It’s a peculiarly protectionist, defensive position, for an event so focussed on breaking down barriers and creating real change. Alongside the semantic land-grab of the mainstream, we had territorial conflicts, on the stage, in the audience and in the wider Tweeting world outside the event itself. Journalism is a small field, these days – small and intricately interconnected – and various figures vie for ownership of concepts and spaces within the field. Most noticeably to those following the hashtag on day 1, Jeff Jarvis took on the BBC over the lack of openness inherent in holding an invitation-only event under the Chatham House rule. Regardless of which “side” you took – or whether you believe, like I do, that both have merits – the conversation became in part about Jarvis and his opinions. Just as day 2 became in part about Andy Carvin’s hostility towards people debating and critiquing his methods, rather than the methods themselves. Fame – both individual and institutional – makes people confuse the practitioner with the field in which they operate. Esra Dogramaci of Al Jazeera faced some very hostile questioning on the topic of training people to use citizen journalism tools. Will Perrin of Talk About Local did not. Of course there are hundreds of reasons why the responses were different – not least the potential harm that people in Arabic dictatorships can come to as a result of doing journalism – but one of them is territory. Al Jazeera is invading the “mainstream”. Talk About Local is invading the regional space. If there had been many Archant, Johnson or Trinity Mirror folks there, I think Will would have faced some tricky interrogation too. @ukcameraman challenged the panel by recording and uploading a live streamed video of part of the panel, and asking whether it scared the BBC. The TV companies no longer own the broadcast space, not even in their own conference centres. They can’t always be first. We can’t let it go. Journalists can’t let go of the need to scoop each other, the desperate belief that first is better. The stage, and the day, seemed bounded by people prickling over other people’s claims to innovation and to be first. On stage, Mark Rock of Audioboo suggested that competition should take a back seat to collaboration, and implied that being first was not as important as being accurate. That’s right, of course, as we should know from (if nothing else) watching major news organisations tweet the news of Hosni Mubarak’s resignation repeatedly when it hadn’t happened. But there’s still significant opposition to this notion from both individual journalists and news organisations. We fear being scooped. Outside the financial trade press, where being first by a few seconds can move markets, the business model of being first is largely an illusion. In fact, the business model is in being the most widely read, and being first is no longer a guarantee that you will gather the most eyeballs for your effort. Traditional media organisations are beginning to move, but it is clear that the individuals are light years ahead of the newsrooms, and many newsrooms are moving defensively – chasing the audience, not moving to intercept them. Mark Rock summed it up when he said it was ludicrous that BBC correspondents use Audioboo (there is no better tool for what they need to do) but they can’t embed it on the website. The industry holds up rare examples of experimentation from the “mainstream” media as paragon instances of innovation, and we fail to notice how rare, how unusual and how tentative these instances are. In the mean time, we are being beaten by people and organisations who take a little from journalism and a lot from other places. We need more Venn diagrams. We need people who take elements not just from journalism but also from other areas: user experience design, anthropology, web culture, psychology, history, games, literature, art, statistics. We need to interrogate journalism with tools outside the journalistic sphere; we need not just to borrow from other disciplines but exchange with them. Traditional media organisations are not very good at linking out. They need to get good. Fast. You make some great reflections on the day, especially regarding ‘mainstream’ vs start-ups/innovation, which was, after that particular session, a consistent topic of the day. 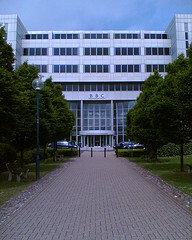 I attended the Friday of the BBC event coming from Southampton University’s Student Union as one of our media enthusiasts, and the discussions on hyperlocal journalism was extremely interesting coming from my viewpoint; I too was disappointed Will was not brought into the conversation as much as hoped. What did disappoint me from the day was the lack of a “catalyst” for collaboration, which was one of the aims the event was created for. I was hoping to bring such a catalyst back into student news, with an eye to collaborating with the local organisations around us. Too much time was spent defining the differences, rather than building on the similarities, of independant vs mainstream media, as you put it. With capability comes responsibility, I believe was one of the finer quotes of the day. @JMChadd Your last couple of paragraphs are spot on. Looking at things like the Guardian hack days, it’s easy sometimes to think traditional outlets are innovating hard, but hearing from people like Mark Rock and Mark Little really turns that view upside down. And I’m a big fan of that quote. I have to say that I did get some catalysts for change from the day – though not all from the sessions themselves. The most valuable parts for me were the opportunities to compare notes with people from different disciplines within journalism and people with different specialities – the folks I described as “Venn diagrams” in the post. It sometimes feels that we’re revisiting well-trodden ground, but there are always people bringing in something new, and the presence of innovators peripheral to the field was a good thing, I reckon.